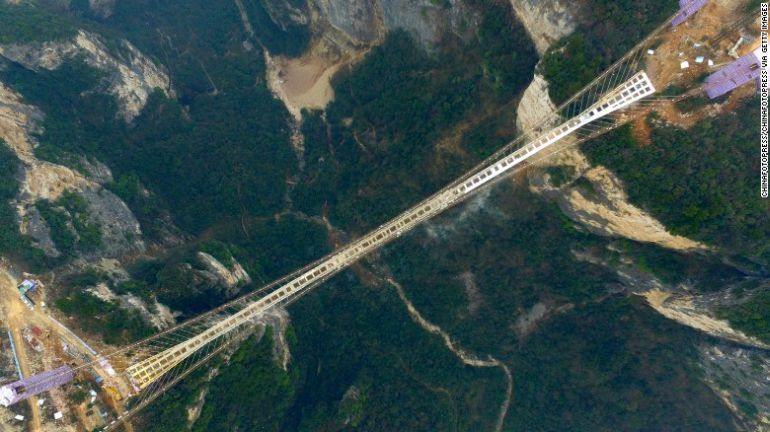 In October last year, a newly-opened glass walkway, hanging some 3,540 ft (around 1,080 m) above the ground at China’s Yuntai Mountain Geological Park, developed cracks, causing panic and hysteria among tourists. 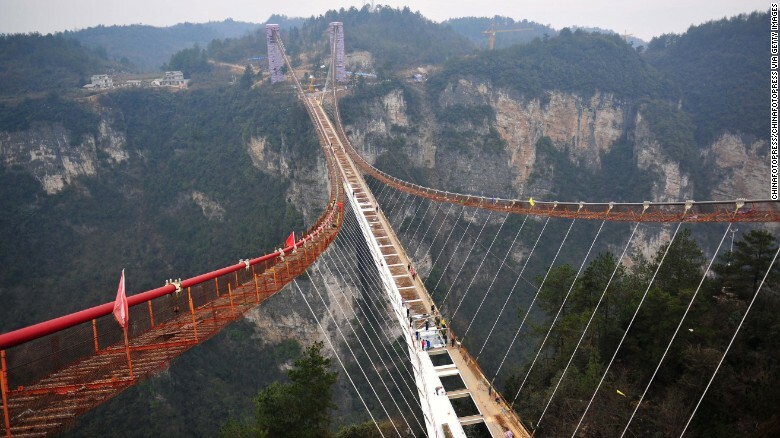 While the bridge has since been shut down, the country’s Hunan province is gearing up to unveil another one of these fearsome structures. 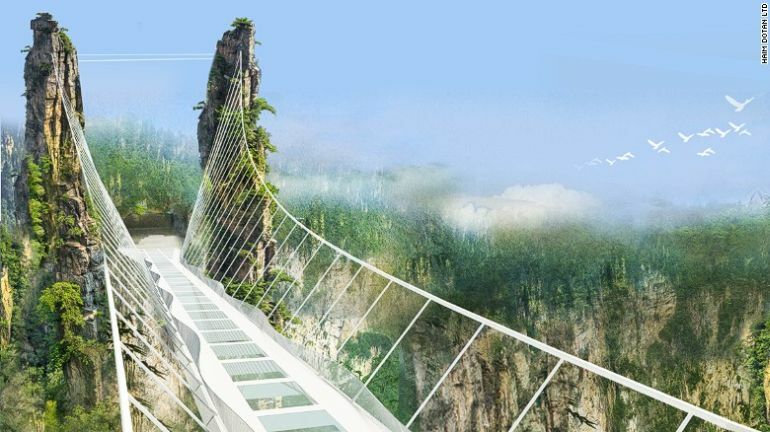 Touted as the world’s highest and longest glass-bottomed walkway, the bridge is currently undergoing construction at the Zhangjiajie National Forest Park. 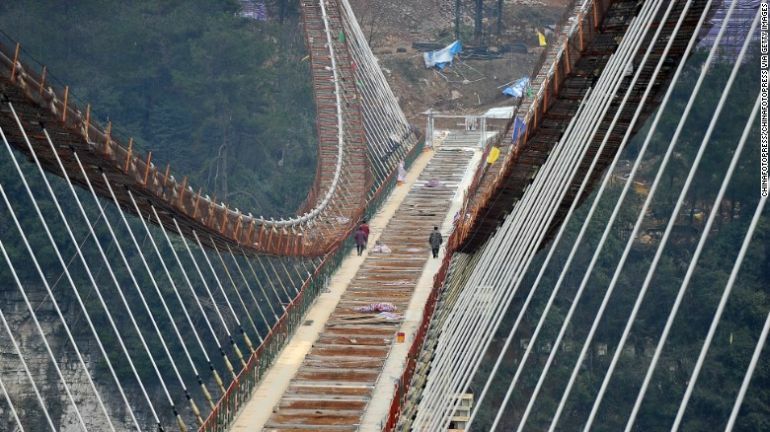 Set to open this May, the stunning bridge measures around 1,410 ft (or 430 m) in length and nearly 19 ft (approx. 6 m) in width. Suspended between two sides of the picturesque Zhangjiajie Grand Canyon, this formidable structure hovers precariously over a 984 ft (about 300 m) vertical drop. 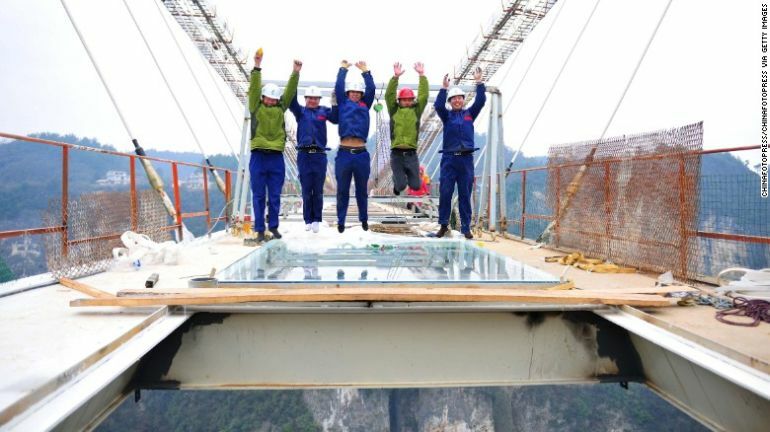 Workers at the site were recently seen installing the first pieces of glass on a bridge that will also feature the world’s highest bungee jump. 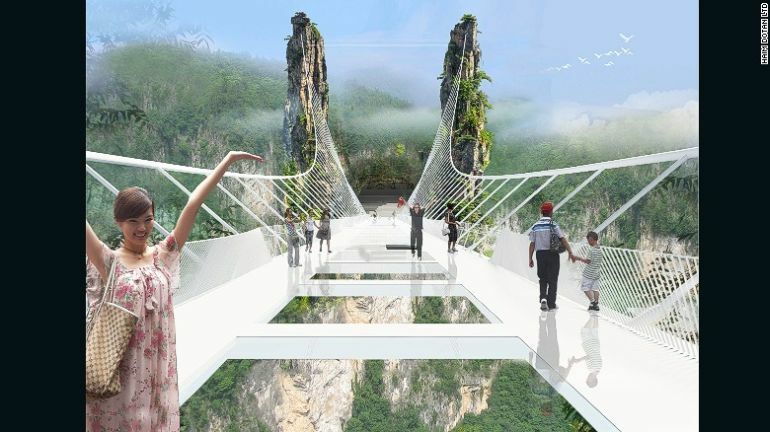 Designed by Israel-based architect Haim Dotan, Zhangjiajie Grand Canyon Glass Bridge can hold up to 800 people at one time, though walking on it will surely be a knee-rattling, spine-tingling experience. 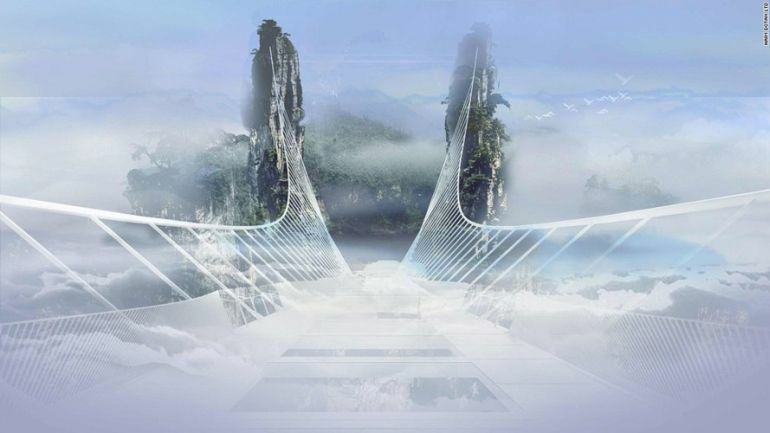 Offering breathtaking panoramic views of the surrounding landscape, it will also serve as the world’s highest fashion runway, where models wearing ginormous footwear will attempt to traverse the glass-bottomed bridge. To learn more about Haim Dotan, visit the architect’s official website.